this week, with Internal Business Development Manager, Emma Armstrong! Emma, what is your role here at One Connectivity? I am an Internal Business Development Manager. I process fixed line, broadband and hosted solutions for new and existing businesses. I also process the billing for fixed lines and broadband customers. I bring on new business in all of the solutions we provide and I am on hand to solve any issues with the solutions. I start around 8.50am, the I check my emails for any issues which I start to resolve and then speak to existing and new businesses regarding any new solutions we are providing. When the customer is happy with an outcome or I have brought a new solution for a customer. Honest, Passionate about my job, likes her food. Dealing with Open Reach and how they work as a company. Resolving issues bringing new business on, speaking to existing customers. It’s easy to talk to my Director about work and any issues I have, it’s refreshing. … this week, with Customer Service Advisor, Simon Smith! Simon, what is your role here at One Connectivity? I am a Customer Service Advisor – I process new and existing customer mobile quotes and upgrades. I also deal with day to day issues over the telephone and via email for our existing customers. I have been a member of the team since 20th July 2015. I start at 9:00am, then I check my calendar for any EE bills that need to be emailed to customers. I then check my emails for any current or on-going issues and resolve them as quickly as possible. The highlight for me throughout the day is when I receive positive customer feedback, after resolving any issues or problems the customer may have. The biggest challenge I face is dealing with EE over the telephone. Solving problem for customers and processing mobile phone quotes. The best thing about working at One Connectivity is the office atmosphere and learning more and more about the telecommunications industry. Please see our latest press release below, detailing our new team members and marking the end of our second year in our Nottinghamshire office. 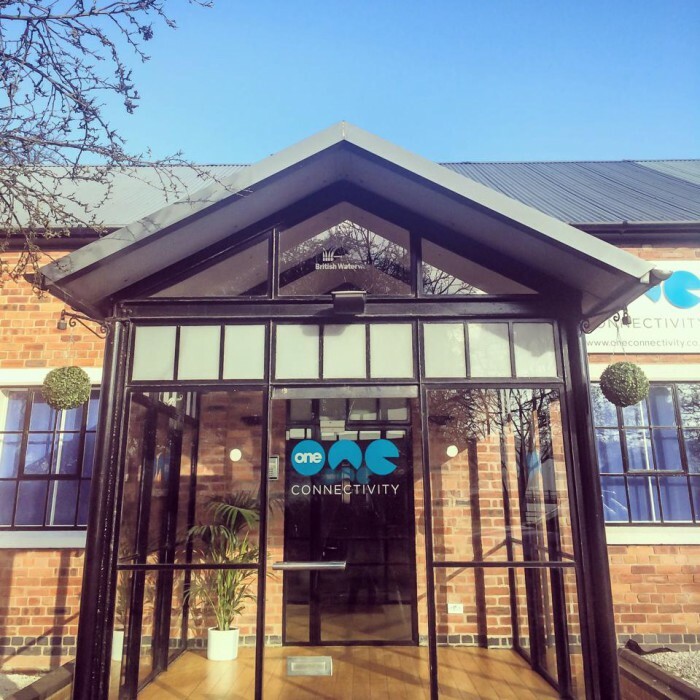 Communications company One Connectivity is celebrating two years of being based at their Nottinghamshire office. The company also has another reason to celebrate; it is expanding with the introduction of several new team members, and has enjoyed a successful period. One of the new members of One Connectivity’s staff, Simon Smith, joins the team on a full-time role after an initial 12-week placement. This came as a result of One Connectivity working with a national charity, and Managing Director Paul Stevenson explains the significance of this relationship. 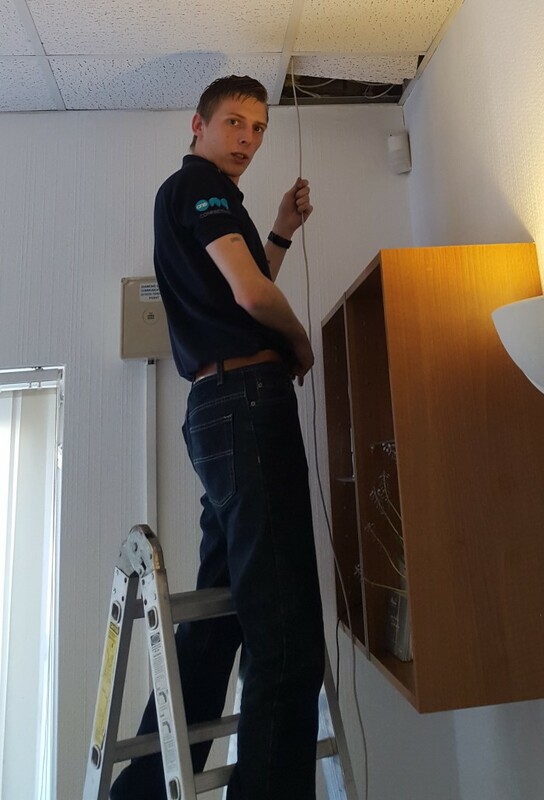 Paul also hopes that the additional experience of Technical Solutions recruit, Adam Millington, who has nine years’ experience in the telecoms industry, working with several key players in this field, will help One Connectivity continue to grow for years to come. It is hoped that Adam’s knowledge in the telecoms industry will allow One Connectivity’s customers to have a single point of contact whilst working with the company. It is an exciting time for One Connectivity as they plan to continue growing their team by adding new staff members in the coming weeks. With more growth expected in the near future, and with the prospect of an expansion of their offices, One Connectivity is hopeful that they will be celebrating more success on their next birthday. Press release issued by Mocha Marketing Limited on behalf of One Connectivity.